Independence Day: Resurgence was released last week and the critical response for the film has been pretty bad. While I do agree with my colleague that, while Independence Day: Resurgence wasn’t a disaster of a movie, it certainly wasn’t a good movie by any standards. The acting wasn’t that good. The action scenes weren’t all that special. But one of the worst things about the film was the way it ended. The movie figuratively smacks you in the face that they are going to make a sequel. This makes Independence Day: Resurgence a prime example as to why a lot of big budget movies are pretty bad these days: Hollywood movie studios are just desperate to establish the next great movie franchise. Movie franchises aren’t all that new, though. 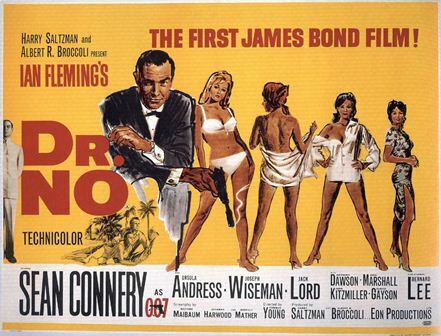 I mean, James Bond is still kicking around these days despite the very first film featuring Agent 007, Dr. No, was released way back in 1962. And there are a lot of successful film series that have been enjoyed by people all throughout the years. This history of success is the primary reason why Hollywood movie producers are trying to create and produce that new film series that’ll keep on raking in the dough via sequel after sequel. Unfortunately, they don’t really care too much about the short term, making a good movie, but these movie producers are focusing on the long term, looking at the piles of money these sequels will make for them! Geez! James Bond is super old and he still gets all the chicks! Most people would probably look at the success of the Marvel Cinematic Universe and blame this trend on them. However, the idea of making a new blockbuster movie franchise started way before then. The trend started around the time when the first Harry Potter film, The Philosopher’s Stone, and The Lord of the Rings trilogy cam out. These were film franchises that were based on young adult book series. Books that young people read and loved. So, when these movies came out on the silver screen, these same people went out to watch these movies. Soon after, Hollywood movie studios looked at what was hot in the young adult section of bookstores. We got The Princess Diaries, then Confessions of a Teenage Drama Queen, Chronicles of Narnia, Eragon and The Sisterhood of the Travelling Pants. And then, just around the time Marvel’s Iron Man came out, launching the multi-billion dollar superhero movie franchise we all know and love, a little movie about a girl falling in love with a teenage vampire and a werewolf came out. This movie is, of course, the first movie in the Twilight Saga. Yeah, I know your reaction to this: EEEEEW! Seeing how those four films became commercial successes, Hollywood turned to book series and, unfortunately, a lot of them couldn’t follow the success of the Twilight Saga. The Percy Jackson series, after Sea of Monsters, is pretty much dead in the water. The Mortal Instruments: City of Bones’ sequel died after the first film’s release. I Am Number Four wasn’t on anyone’s list of movies they want to see a sequel to. Beautiful Creatures was an ugly mess. In fact, only a few young adult movies actually made money. Oddly enough, one of them was the prequel to The Lord of The Rings, which is The Hobbit trilogy of films. The other ones were The Hunger Games series and, if I’m being generous, The Divergent series and The Maze Runner. However, the latter two never reached the glorious success of The Hunger Games series of movies. Excuse me while I bust a gut laughing! Now it looks like the young adult well has run dry. Where would Hollywood film producers get their new cash cow movie franchise? Well, they went back to the past and, unfortunately, they started looking at the blockbuster movies of the past and try to capitalize on them. Did you really think they made a remake of action blockbusters like Total Recall, Clash of the Titans, The Karate Kid, Conan The Barbarian, Robocop, A Nightmare on Elm Street and many more because they couldn’t come up with a fresh idea? Okay, maybe that was a contributing factor… but it also had to deal with producing a movie that was going to launch a series of films as well! Yes, Hollywood has run out good ideas but that doesn’t seem to be the actual problem. The biggest issue is that Hollywood has become lazy. They want the most profit for the least amount of risk. That means producing and creating more thought provoking films in favor of mindless action. That means not taking a chance on crazy but creative ideas and just going for the tried and true formula of what people expect… a formula that we’re growing tired of. Which is precisely why Independence Day: Resurgence is doing so horribly with critics and audiences alike. For once, the critics and general audiences agree! Yet Hollywood seems to be churning out sequel after sequel. Even with movies that really didn’t need sequels! Did we really need a Cars 2 focusing on Nader? Or another entry of Now You See Me? Or watch a rather aging Bridget Jones have a kid in Bridgett Jones’s Baby? Or, God forbid, another entry in the Ice Age franchise? Okay, I’ll give you Finding Dory, because that movie is really good! But, honestly, did Finding Nemo really need a sequel? I mean, in the first movie, Dory was already happy since she had a new family! I’m not saying that Hollywood shouldn’t make any movie franchises anymore. If it wasn’t for movie franchises, we wouldn’t have the Marvel Cinematic Universe, a rebooted Star Trek film series and the new Star Wars movies. But they shouldn’t be the main focus all the time. Hollywood should make room for new ideas and also concentrate on, well, just making a good movie. Just one good movie that will attract the praise of critics and which your average Joe would enjoy as well. A movie that tells a single story and doesn’t need another entry to make everything clear. And while this is the current trend Hollywood is following, that doesn’t mean this will be what they’re going to keep on doing forever. There’s going to be a movie that will break the trend and go against the flow. When that movie comes out and it becomes a big hit, you can bet the bigwigs at Hollywood will take notice… and then order up movies just like that. Such is the cycle of Hollywood. What’s your thoughts on the current trend of today’s movies? Let me know in the comments section below! ← Which Game of Thrones Character Would You Trust?